The donated books and CDs are full of stories told by writers and musicians, and it is wonderful for people to have the opportunity to encounter these tales that may be out of print or otherwise unavailable. Rotary has stories to tell too. Taking city children tree-planting in Quairading and showing them salt-affected land, beautiful native forests and the life of a country town is a story worth telling. The school on a tiny island in the Phillippines with no water and power is a story that ends positively with a new generator, repaired solar cells and running water for drinking and washing. Indigeneous tribes in the Phillippines have inspected school supplies from Australia, agreed that they are useful and appropriate, and are just waiting for the right time and transport to begin using them. The All Abilities Play Space in Nedlands is a wonderful West Australian facility - available and usable by people of all ages and abilities - and the long story from the idea to a realised playground isn't finished - even while children and adults enjoy the super facilities available there. 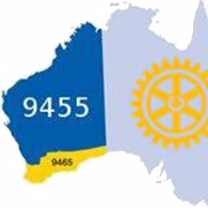 These are stories from Rotary Subiaco and Rotary International has many more - including the drive to End Polio.